Ann Buckingham Coffinberry Smith, of Heritage Village and resident of Southbury since 1961, passed on Jan 24, 2011, after a month-long hospitalization. She was 80 yrs old. She is survived by her daughters Nadine R. Fox, of Naugatuck, and Margery R. Scott of Bisbee, AZ , grandchildren Benjamin and his wife Erica, Elizabeth, and Phillip Atchison, Brant C and Courtney Fox, and great grandchildren Troy, Mackenzie and Callie Atchison, and Areanna Iovene, a sister Nadine vonStork of Colorado and nephews Peter and Timothy vonStork, and Craig Kellogg. Born in Cleveland, Ohio on Nov 30, 1930, Smith was the daughter of John Brooks Coffinberry and Nancy Buckingham Dorrance Reynolds. Smith was a 1948 graduate of Mamarneck High school in NY, 1950 graduate of Blackstone Junior College in VA, and a 1951 graduate of Berkeley Secretarial School in NY. In Dec.1998, after 26 years of service, she retired as Church Secretary for The Church of Epiphany, in Southbury, where she has been a member since 1963. 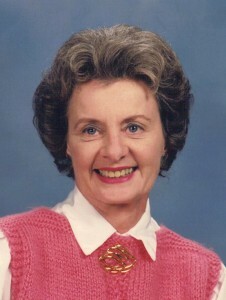 She served in many other roles within the church, including Member, Secretary, and VP of Episcopal Churchwomen, Member and Clerk of the Executive Committee, Member of Parish Member Search Committee, many years as Publicity Chair, Secretary and Director of the Altar Guild, Member of Columbarium Committee, Choir Member and historian. Prior to moving to Southbury, Smith was the Administrative Assistant for the Yale University Alumnae Fund (’53-’57), and Secretary in the Public affairs Dept at American Broadcasting Company (’51-’54). Smith spent 9 years as Chairman of Library Volunteers, at Rochambeau (now Gainfield) Scool in Southbury from 1967-1976, and a class mother and Girl Scout Mother Helper. As an Aug.1998 group founder of the Southbury Community Thrift Shop, she also served as Treasurer. When Safe Haven took over, Smith was retained as the bookkeeper until the time of her death. In Heritage Village she has been a Cluster Captain since 1984, Secretary and Condo Two Board member since 1999, and a Heritage Village Singer from 1982-2008. There will be no calling hours and a memorial service will be held at the Church of the Ephiphany,262 Main St. North, Southbury Jan. 29, at 11 a.m. A luncheon will take place directly after the service in the church parish for friends and loved ones wishing to join the family. In lieu of flowers, please make donations in Ann’s name to either the Heritage Village Ambulance Assc, PO Box 2045, Southbury, CT 06488 or the Altar Guild of The Church of Epiphany.